Acetyl L-Carnitine (ALC) is the advanced, acetylated form of L-Carnitine. Carnitine is important in the final oxidation (burning off) of fats in the body, while the acetyl part can be used to maintain acetyl-CoA levels. ALC can easily cross the blood-brain barrier in humans therefore it has more neurological effects as well. ALC is one of the most popular L-Carnitine versions. 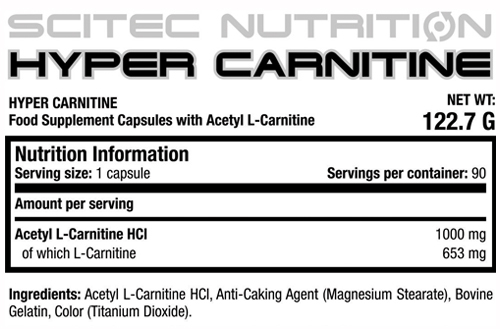 Hyper Carnitine contains 1000 mg of the active ALC compound in one capsule. Acetyl L-Carnitine is a safe and effective amino acid like substance that plays a crucial role in fat breakdown and energy production in human body. It is needed for transport fatty acids into the mitochondria of cells to be burned off as energy. Take 1 capsule daily on an empty stomach, first thing every morning. Q.1 What is HYPER CARNITINE? HYPER CARNITINE is the advanced, acetylated form of L-Carnitine. Carnitine is important in the final oxidation (burning off) of fats in the body, while the acetyl part can be used to maintain acetyl-CoA levels. 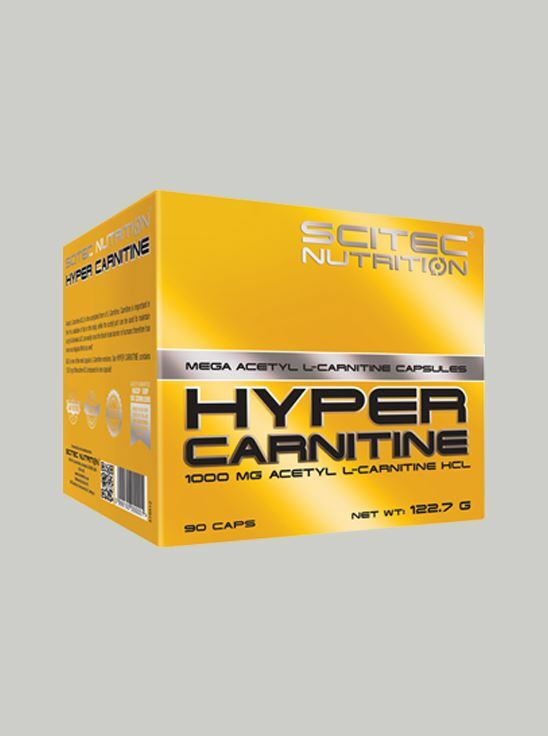 HYPER CARNITINE provides 1000mg of active ALC compound in one capsule to help optimize fat metabolism and endurance support. L-Carnitine plays an important metabolic role in fat burning and energy production. Q.2 What is Acetyl L- Carnitine? Acetyl L-Carnitine is the advanced, acetylated form of L-Carnitine. It plays an important metabolic role in fat burning and energy production. The acetyl part can be used to maintain acetyl-CoA levels. Acetyl L-Carnitine assists your body in converting fat to energy and helps to tap into your body’s fat supply by providing support to have fatty acids transported to your muscles where they can be burned as energy. This process can aid in weight loss and improve athletic performance via. increased endurance. Q.3 Does HYPER CARNITINE contain any stimulants? No. Hyper Carnitine promotes fat loss via non-stimulatory and non-thermogenic pathway. Q.4 Is HYPER CARNITINE suitable for consumption for vegetarians?